Home » Posts Tagged "ectopic fat"
Targeting Gut Inflammation Can Reduce Insulin Resistance? 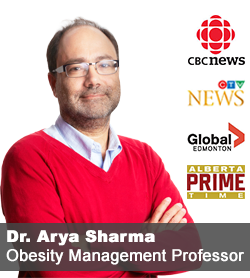 Regular readers may recall that for the past nine years, I have had the privilege and pleasure of serving as faculty of the Canadian Obesity Network’s annual Obesity Research Summer Bootcamp. The camp is open to a select group of graduate and post-graduate trainees from a wide range of disciplines with an interest in obesity research. Over nine days, the trainees are mentored and have a chance to learn about obesity research in areas ranging from basic science to epidemiology and childhood obesity to health policy. Now, a formal network analysis of bootcamp attendees, published by Jenny Godley and colleagues in the Journal of Interdisciplinary Healthcare, documents the substantial impact that this camp has on the careers of the trainees. As the analysis of trainees who attended this camp over its first 5 years of operation (2006-2010) shows, camp attendance had a profound positive impact on their career development, particularly in terms of establishing contacts and professional relationships. Thus, both the quantitative and the qualitative results demonstrate the importance of interdisciplinary training and relationships for career development in obesity researcher (and possibly beyond). Personally, participation at this camp has been one of the most rewarding experiences of my career and I look forward to continuing this annual exercise for years to come. To apply for the 2015 Bootcamp, which is also open to international trainees – click here. 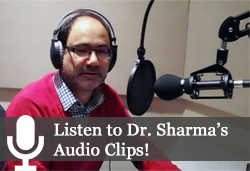 @DrSharma Toronto, ON Godley J, Glenn NM, Sharma AM, & Spence JC (2014). Networks of trainees: examining the effects of attending an interdisciplinary research training camp on the careers of new obesity scholars. Journal of multidisciplinary healthcare, 7, 459-70 PMID: 25336965 . Does Lean Tissue Have More To Say About Your Health Than Your Body Fat?